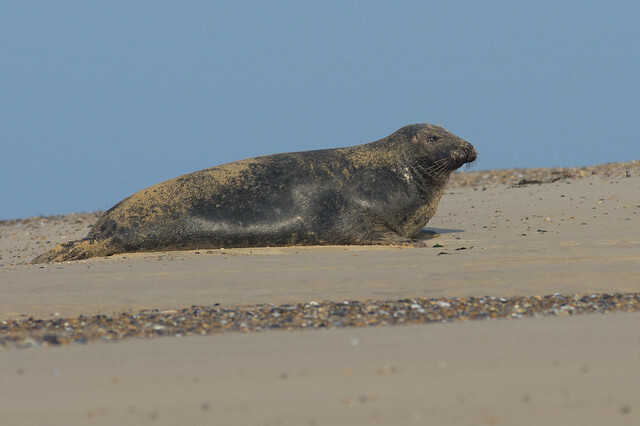 On Sunday I went up to Norfolk with my friend Dave on a seal photographing day. 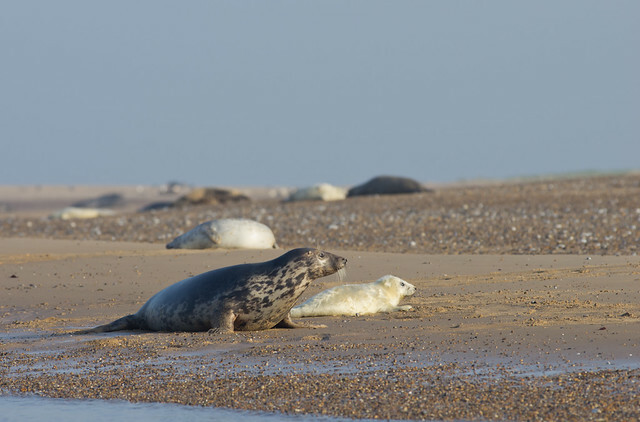 Our forst stop was the boat trip to Blakeney point, which we just caught after a long search for breakfast. 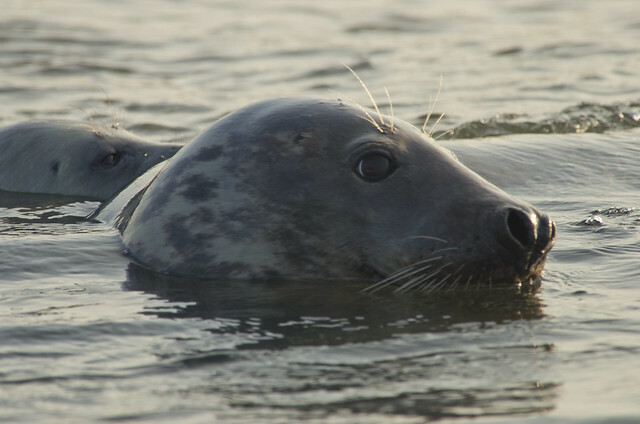 I got some nice shot from the boat using my DA*300mm and sometimes my 1.7x convertor. 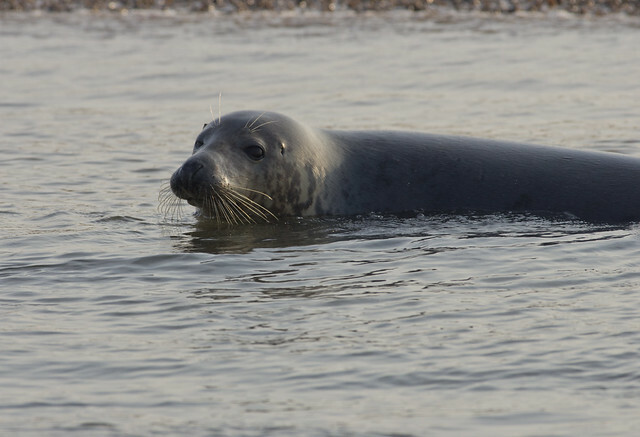 This common seal was one of them. 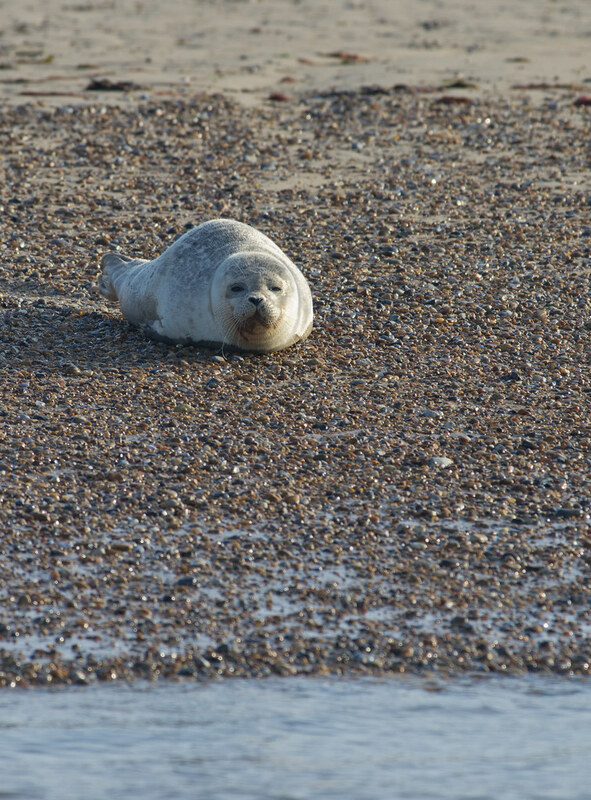 The point was mainly populated by grey seals though. 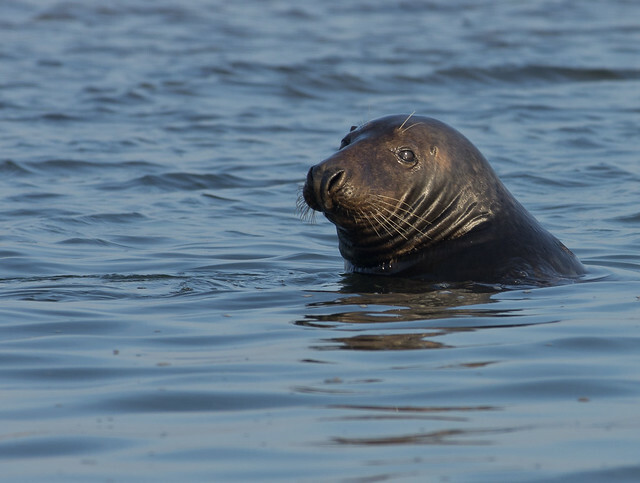 The only boat was in the morning which meant the sun was behind the seals most the time, so most my shots were backlit. 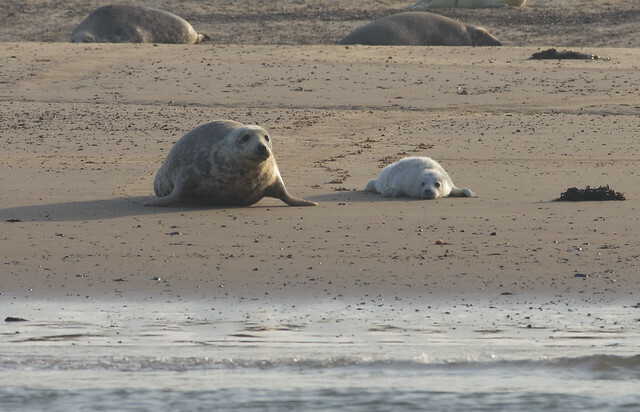 There are lots of grey seals this time of year because its pupping season. 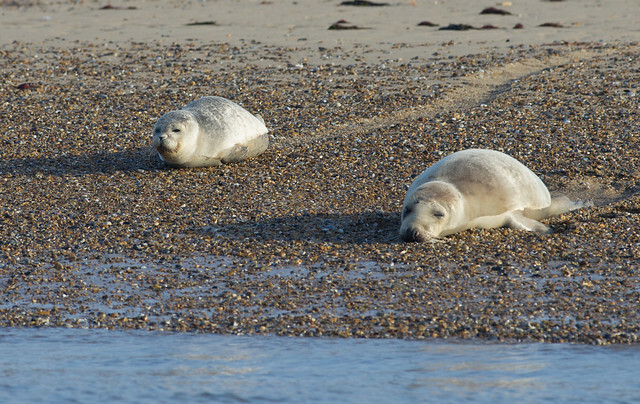 Some pups are in the water already. 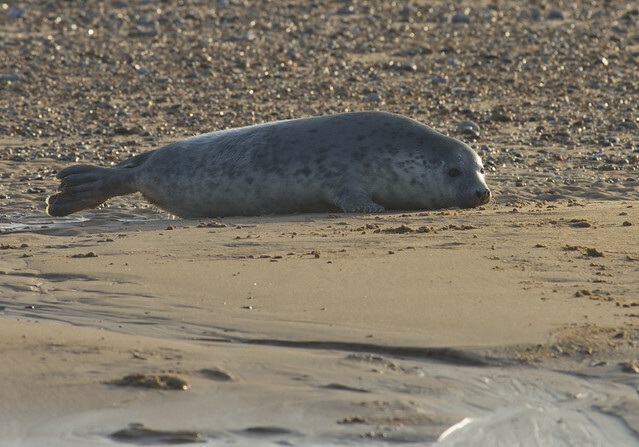 I got a few more common seal shots. 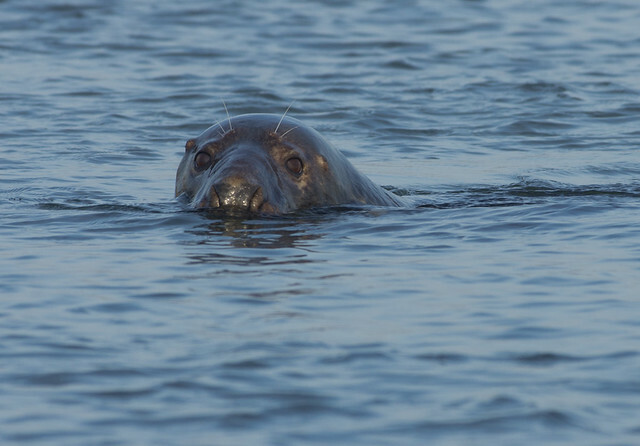 The best shots were as we headed back so the sun was behind me when photographing the seals. 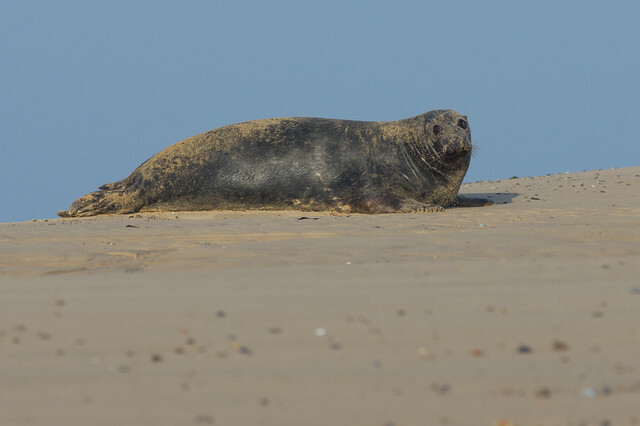 This grey seal posed nicely with the blue sky behind. 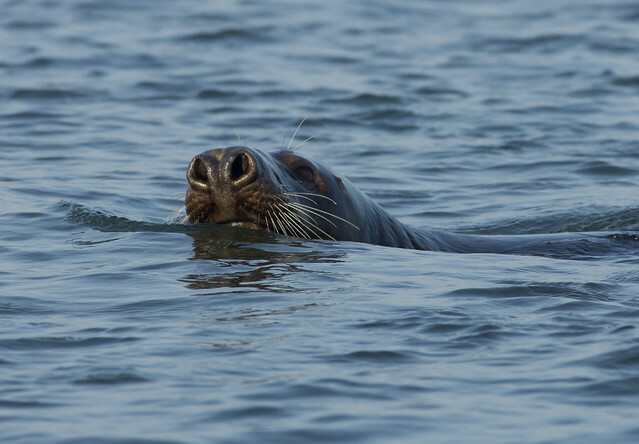 ANd another came quite close to the boat for some shots. 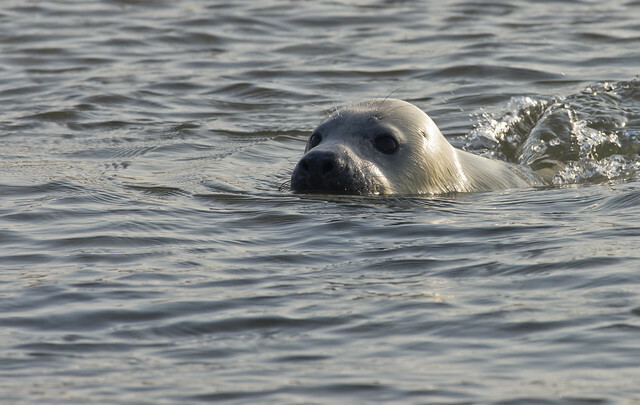 And this one in slightly shallower water. There were some birds about too. 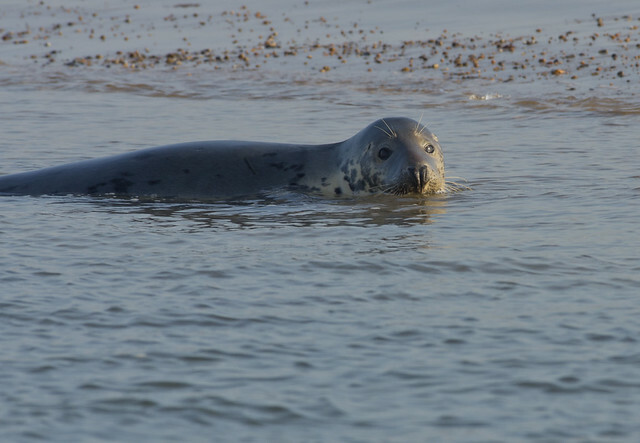 A Merganser flew past, there were lots of brent geese and aI got my first ever water pipit. 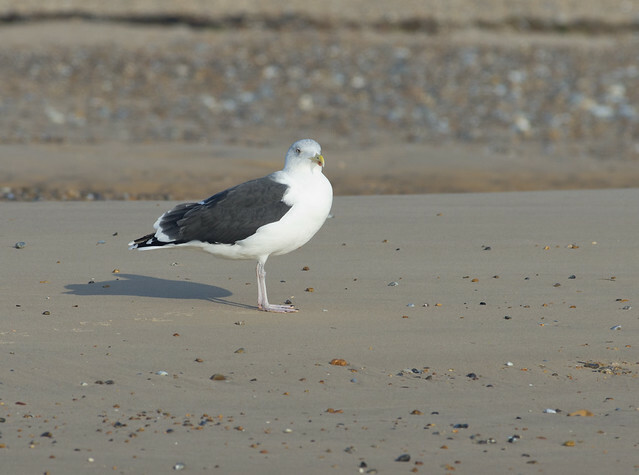 The only one I got a reasonable photo of though was this greater black backed gull on the beach. 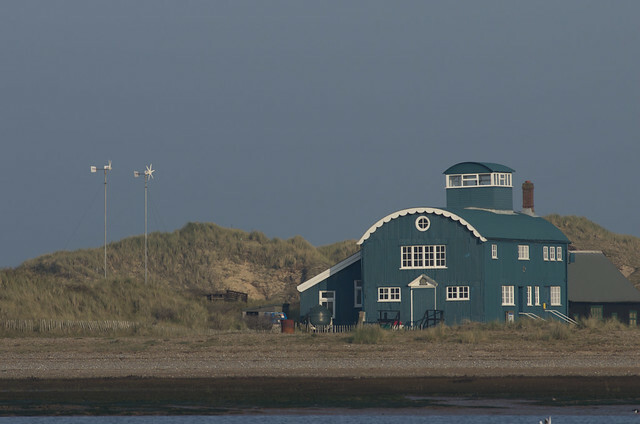 I finish with this photo of the old lifeboat station, now a base for the wardens that look after the seals.